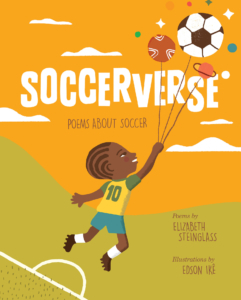 The perfect gift for young soccer fans, this picture book features twenty-two imaginative poems that capture all aspects of the world’s most popular sport. From the coach who inspires players to fly like the wind, to the shin guard that begs to be donned, to soccer dreams that fill the night, Soccerverse celebrates soccer. Featuring a diverse cast of girls and boys, the poems in this collection cover winning, losing, teamwork, friendships, skills, good sportsmanship, and, most of all, love for the game. Elizabeth Steinglass cleverly incorporates thirteen different poetic forms throughout the book, defining each in a note at the end, and Edson Ikê’s bold artwork is as creative as the poems are surprising. 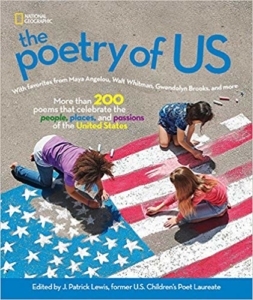 The Poetry of US: More than 200 poems that celebrate the people, places, and passions of the United States, edited by J. Patrick Lewis, 2018. Great Morning! 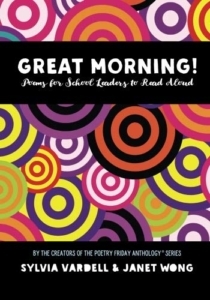 Poems for School Leaders to Read Aloud, edited by Sylvia Vardell and Janet Wong, 2018. 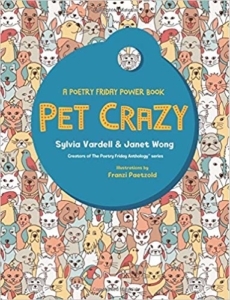 Pet Crazy: A Poetry Friday Power Book, edited by Sylvia Vardell and Janet Wong, 2017. 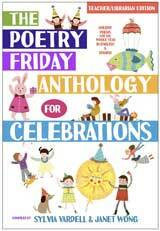 The Poetry Friday Anthology for Celebrations, edited by Sylvia Vardell and Janet Wong, Pomelo Books, 2015. 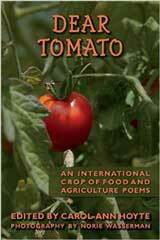 Dear Tomato: An International Crop of Food and Agriculture Poems, edited by Carol-Ann Hoyte, 2015.